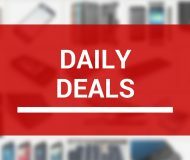 Earlier today, Google CEO Larry Page took to company blog to break the big news: having obtained necessary approvals from watchdogs on both side of the Atlantic, the search giant has finally closed its $12.5 billion acquisition of the ailing handset maker Motorola Mobility in a move meant to “supercharge the Android ecosystem”. The transaction will close by May 23 and is rumored to see Google laying off up to one-third of Motorola staff. Motorola CEO Sanjay Jha is stepping down (not unexpected) and will be replaced by Dennis Woodside whom Apple tried to poach last year. The new CEO already promised “fewer, bigger bets”, meaning Motorola should streamline its portfolio to focus on a select few hero devices. So, Googlerola is alive and the search giant is now officially a handset maker – one sitting on an enormous pile of patents. 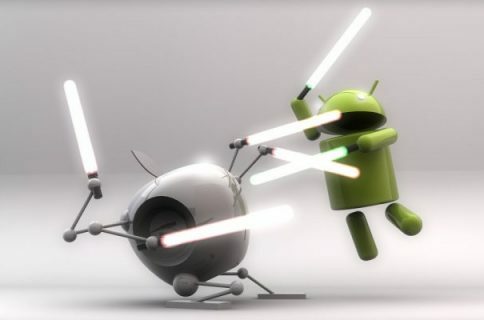 In fact, the search Goliath is now in a position to directly fight Apple’s allegations against Android makers. Enter Google CEO Larry Page, 39, who co-founded Google along with brilliant engineer Sergey Brin back in 1998 in Menlo Park, California while they both attended Stanford University. In a blog post, Page called Motorola “a great American company”. He then went on to explain the reasoning behind his company’s high-profile (and expensive) takeover. It’s a well known fact that people tend to overestimate the impact technology will have in the short term, but underestimate its significance in the longer term. Many users coming online today may never use a desktop machine, and the impact of that transition will be profound – as will the ability to just tap and pay with your phone. That’s why it’s a great time to be in the mobile business. And make no mistake about it, “Motorola will be creating the next generation of mobile devices that will improve lives for years to come”. And how do we know Google means business? Well, they also snapped up progressive industrial design studio Mike and Maaike which did work on the first Google Nexus phone. 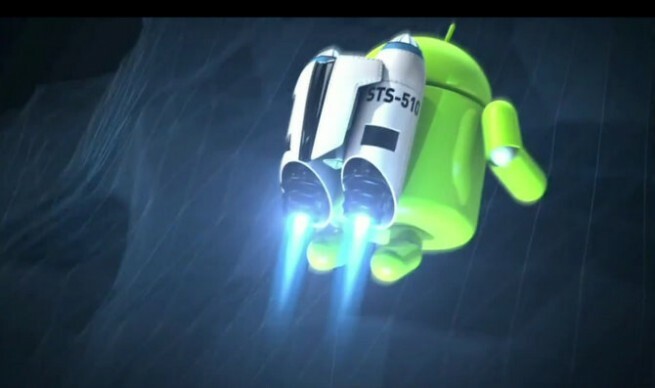 This acquisition indicates that Google is serious about perfecting Android to match iOS’s polish. 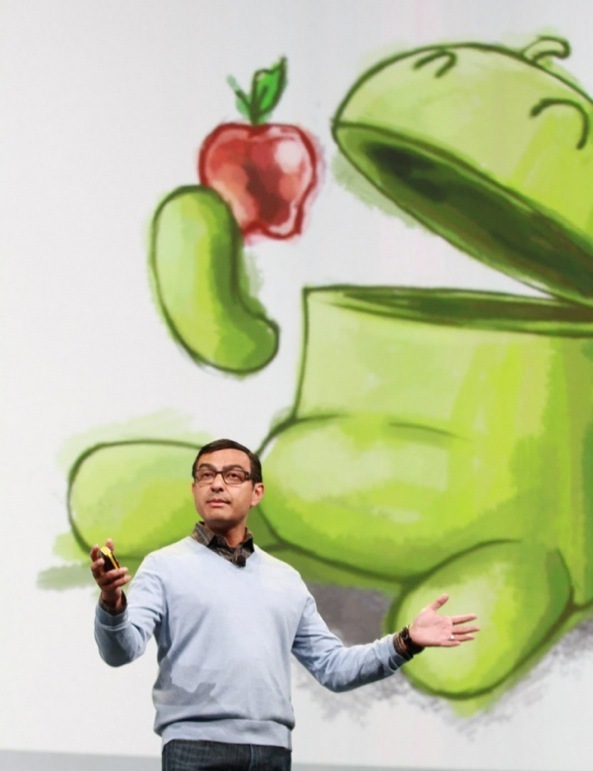 Google’s Vic Gundotra pulls up an anti-Apple slide at Google I/O 2011. As Google’s acquisition is mostly around gaining Motorola’s 17,000 patents and with the news that they have now closed the deal, I asked patent expert Florain Müeller who runs the FOSS Patents blog to comment on a theoretical possibility of direct litigation between Apple and Google over Android infringement. 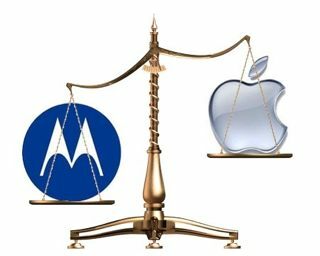 Litigation between Apple and Motorola, as well as between Microsoft and Motorola, is already pending on both sides of the Atlantic. The only thing that has changed is that Google’s ownership of Motorola will complicate any settlements: while Motorola would only have wanted to take care of its own needs, Google has broader agenda. So what happens if Google begins pushing Apple around with the ‘our way or the highway’ strategy? If Google makes unrealistic demands, Apple and Microsoft won’t have a choice and will have to continue to enforce their rights. 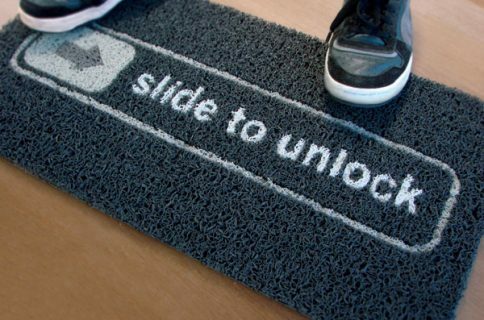 So, how does this closing of the Motorola transaction affect Apple’s legal position? Motorola’s patent portfolio isn’t particularly strong. This deal won’t enable Google to force the rest of the industry into comprehensive cross-licensing deals. Also keep in mind that Apple is one of the constituent companies behind Rockstar, a company created to guard a portfolio of nearly 6,000 wireless patents that Apple, RIM, Microsoft, Sony and Ericsson bought in a high-stake bid last year from bankrupt Nortel for a cool $4.5 billion. One-third of this portfolio went to Rockstar’s constituent companies and the rest was taken over by Rockstar itself, meaning 4,000 patents. Put simply, Rockstar is now a patent company that has the authority to sue companies that infringe on its patents. And no, I’m not the first to liken Rockstar to a nuclear NORAD in patent wars. Litigation aside, question remains how Google plans to go about making Android devices through its Motorola arm without competing with or enraging other Android backers. 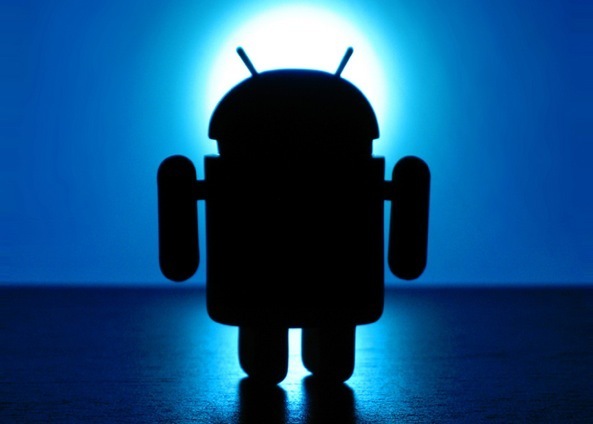 The Motorola deal is meant to “supercharge the Android ecosystem”, Google says. That will be a tough one to crack. It dawned on some Android players that, seeing what was coming, have put contingency plans in place. 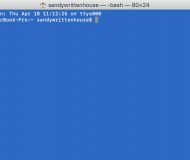 Samsung, for instance, which contributed to an estimated 40 percent of all Android phone sales in the first quarter, has long been pushing its own operating system called Bada. It will be merged with Tizen, another up-and-coming platform born out of Samsung Linux Platform operating system, a sign of consolidation on Samsung’s part. Other vendors which bet exclusively on Android are flirting with Microsoft and some, like Taiwan-based HTC, are now in bed with Redmond. As you know, HTC has doubled down on its Windows Phone portfolio of devices. 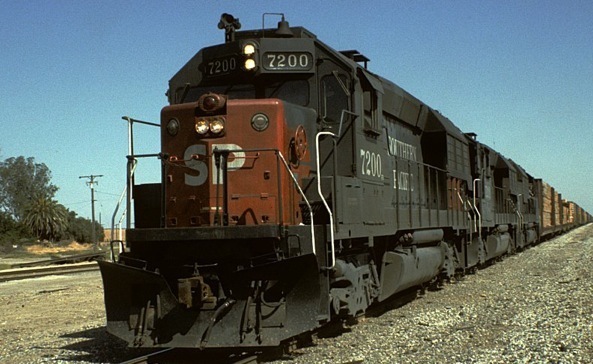 As the industry re-shuffles around Microsoft and Motorola reorganizes itself as a Google-ran entity, both Apple’s iPhone and upcoming Windows Phone devices from Nokia stand a chance of slowing down the Android freight train, if not derailing it. 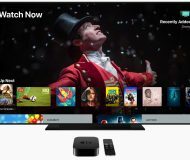 Eventually, give it a year or two, and the mobile space will be a three-horse race between Apple, Google and Microsoft, just as Nokia CEO Stephen Elop told reporters during a news conference in February 2011. “It’s now a three-horse race”, he quipped. There’s a horse in Redmond that always suits up and always runs, and will keep running. There are other players that we can never count out. What we focus on is innovating and making the world’s best products. We’ll just ignore how many other horses there are. We just want stay ahead and be the lead one. They’re already written off in my book. So, what does this Googlerola biz mean for Apple? Not much, as long as they keep their eyes on the ball and keep on delighting us with great iPhones. Let’s hear your take down in the comments. Oh, and in case you didn’t read it, Larry Page made headlines this morning by slamming Facebook over their data policy which holds user data “hostage”.